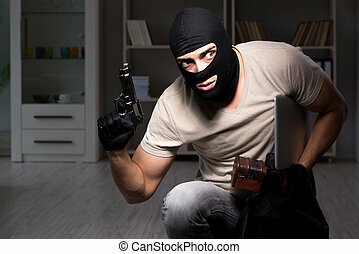 Burglar or intruder at night. 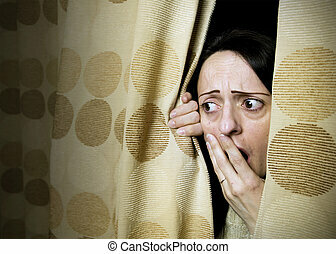 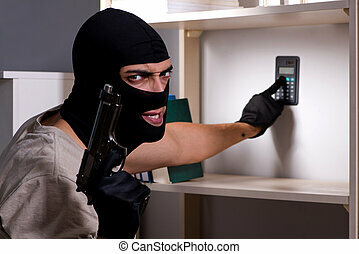 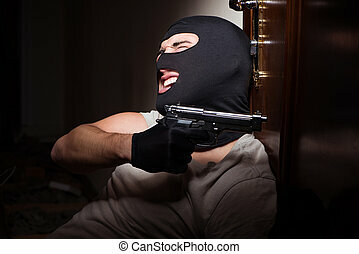 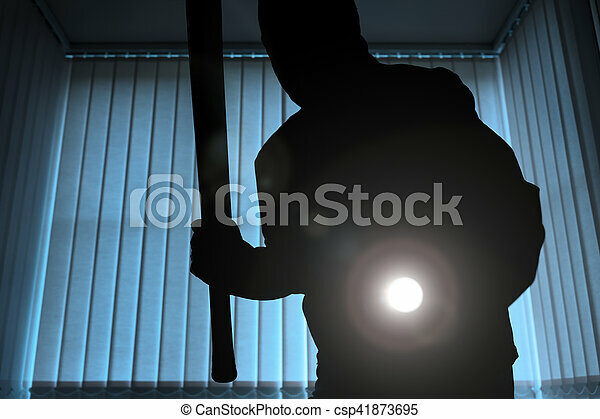 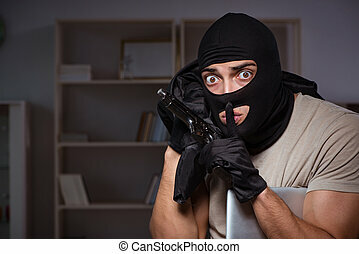 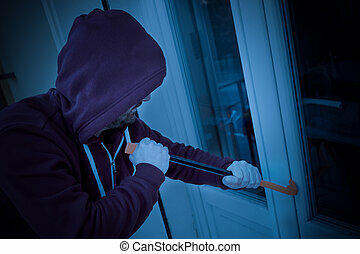 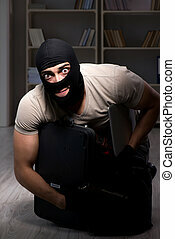 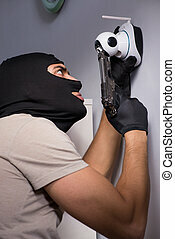 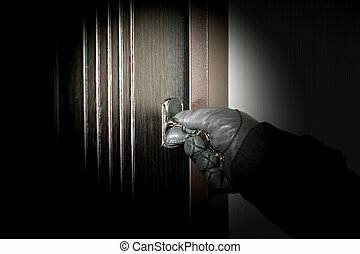 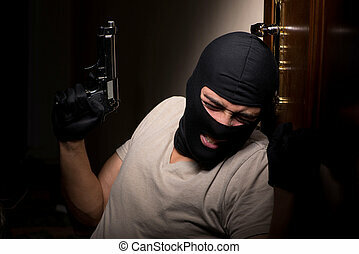 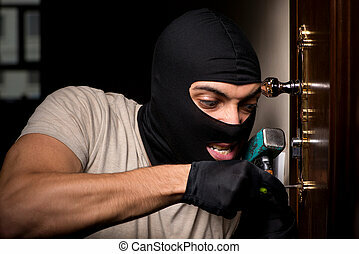 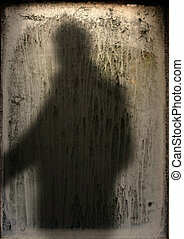 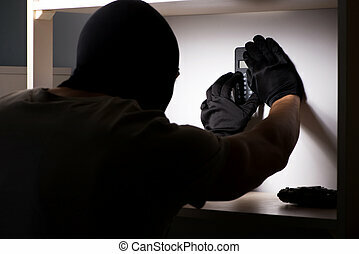 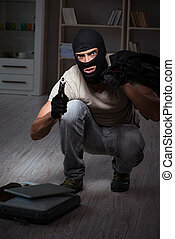 Burglar or intruder inside of a house or office with flashlight and baseball bat. 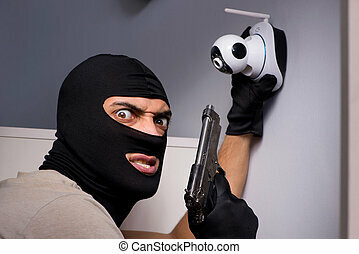 Villain opens the apartment burglary at night.